We understand your business, which is why we make it as easy as possible for you. YOUR JOURNEY TOWARDS THE FUTURE OF KEY MANAGEMENT. The eziKey journey is almost as exciting as the end product! Here's how we will work with you, and your business, to ensure you get the most out of our Intelligent Key Management System. 1. A visit from us to you. A no-obligation visit from one of our team members is the first step on your eziKey journey. Don't worry, we understand that your time is precious and will work around your schedule. 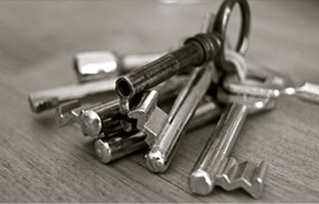 On our visit we will walk you through our product and discuss what your current key management process is. After understanding your business and its needs, we will identify areas of loss, downtime, inefficiency or potential savings for your business. Once we understand your business' key management needs are, we will be happy to take you through a full demonstration of eziKey and its functionality. This can either be done on-site via a virtual walkthrough, or at an existing eziKey business to see it working successfully with your own eyes. From our understanding of your business needs and requirements, eziKey will put together our business solution in the form of a "Proposal". This Proposal will outline the number of eziKey Vaults required for the size of your business, how many eziKey Touch Controllers will be needed to control those Vaults, and where within your business the eziKey product will be best installed to maximise efficiencies. Upon agreement of our Proposal, we will coordinate with all stakeholders and prepare for a mutually beneficial eziKey installation date. On the agreed installation day, the eziKey team will arrive on-site to install and configure your eziKey system precisely to our Proposal. All efforts will be made to minimise any disruption to your business, however please be aware that securing our vaults can be a noisy task at times. 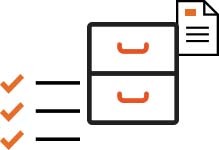 An installation usually takes 3-5 hours, which includes the installation of all hardware, connecting our eziKey system to your network, and uploading your inventory data to our eziKey Operating System. 5. Staff Training and Registration. Upon completion of the eziKey installation, our specialised staff will conduct pre-arranged training with your nominated authorised users. This training will be conducted on the same day as installation to minimise the disruption to your business. eziKey will train all authorised users on the functionality, operation and day to day use of the system, to ensure eziKey is used to its full potential in your business. As a part of the ongoing commitment to our customers, eziKey provides a fixed-price maintenance program where we carry out bi-annual services. This program is designed to ensure our eziKey system continues to meet our customer's expectations throughout the term of the lease.